As if the scenery of Ely wasn’t beauty enough – every year we celebrate more with the Ely Art Walk. It goes on from February 4-14 to coincide with the Ely Winter Festival. This year 150 local artists will show their work in the shops and windows of downtown businesses. You can download a map or the exhibitions on the Art Walk web site as well as a calendar of events. Remember if you’re coming to Ely, Timber Bay Houseboat & Lodge is a great place to stay. It’s just outside Ely in Babbitt on Birch Lake. It’s so beautiful there you might be inspired to create some art yourself! So what can you do when it’s colder than most things you can mention in polite company – you can celebrate. That’s what we’re doing for two weeks in Ely, Minnesota at the Ely Winter Festival! The festival starts with the snow sculptors. Did you know that many of them come to the areas just to compete and demonstrate their skills? They’ll be at Ely’s Whiteside Park during the day and the Ely Steak House for music at the Snow Carvers’ Jam. If that’s not enough to bring you up north, we have plenty more. There’s a polka, dog sled rides, concerts, art crawls and shows – and it all caps off with the Mukluk Ball. If you’re heading up, Timber Bay Houseboat & Lodge can be a perfect base camp, we’re close to the action but also far enough so that you can enjoy a few quiet nights to yourself too. Or maybe some of you want to party and some want to ice fish, we can accommodate all types of winter vacationers here! With a emphasis on Fun more than Run the Eighth Annual Fun Run snowmobile event is set to go for January 30 in Ely, Babbitt and Tower. The event is open to all and benefits snowmobile trails in and around the three communities. $20 pre-registration by January 20th, and $25 thereafter. You can drive by snowmobile or drive by car to the 3 or 4 separate locations- sign up for prizes, tickets for raffles, have a beer or pop and then Drive to the next location. It’s a fundraiser to help out the local snowmobile clubs/trails upkeep. One of the event’s attractions is the prize list that includes a top prize of $1,000 and many great door prizes. On the day of the event, participants go to check in points in Ely, Tower, and Babbitt to pick up bonus tickets and increase their chances of winning prizes. It might be a good excuse to head to Ely. 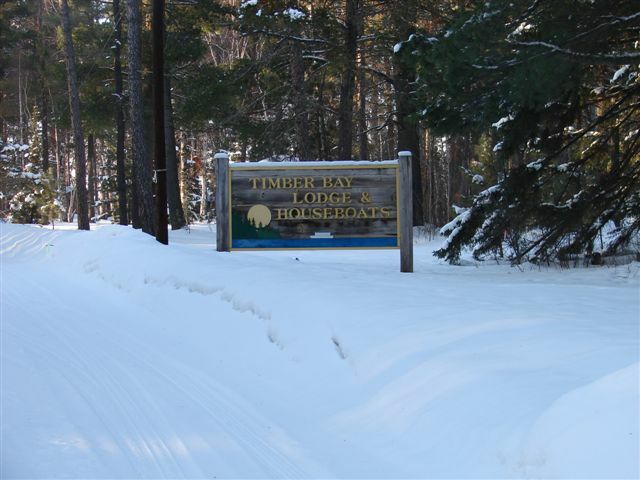 We have a great big cabin at Timber Bay available for you and a group of friends! Check it out!